Removable carabiner works great as a belt clip option. 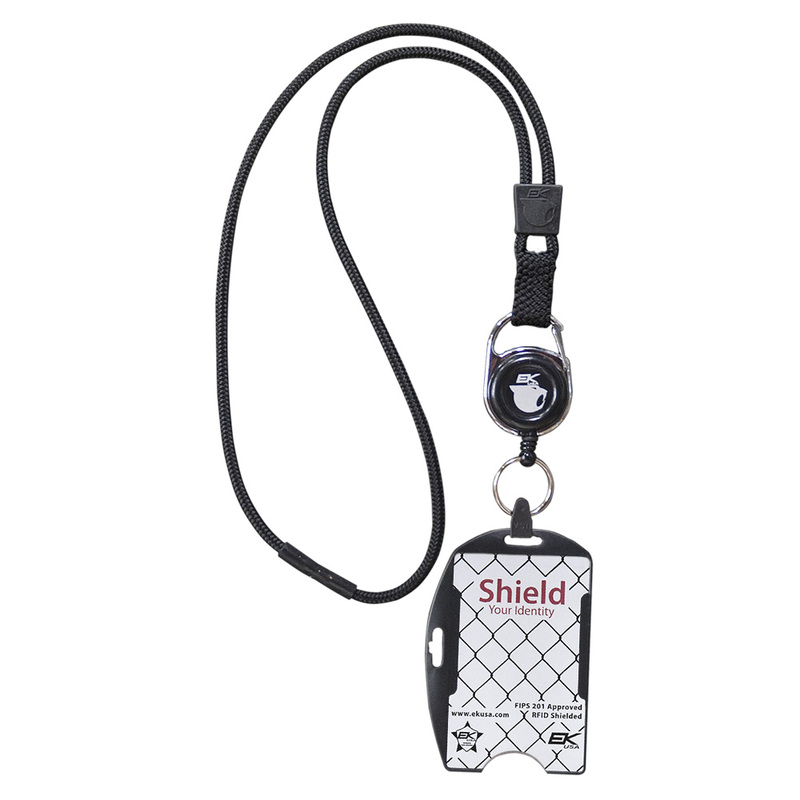 Credential holder includes safety breakaway. Top quality 2′ retractable reel. FIPS 201 Patriot card holder.